Hibernating away in your man cave might be enjoyable over the colder, wetter months, but as soon as spring arrives getting out and soaking up some sunshine is high on many a gentleman’s priority list. If there’s anything more gratifying than cooking in the great outdoors, we haven’t found it yet. Since time immemorial, men have gathered around the barbeque, beer in hand, to partake in the annual “charring of the sausages”. Some of you may be gourmet barbequers with all the kit that entails. Others may be “have a go heroes” with a disposable barbeque from Tesco, a hope and a prayer. Either way – cooking outside in lovely weather with family and friends is just plain great. From slow cooking on a lower heat, to hot hot hot cooking which creates beautifully crispy pizza, the freshly Kickstarted Stadler Made outdoor oven looks good and makes seriously tasty stuff. Made from pure steel sheets with two baking stones, this puppy can reach temperatures up to 400 degrees Celcius for very versatile outdoor cooking. 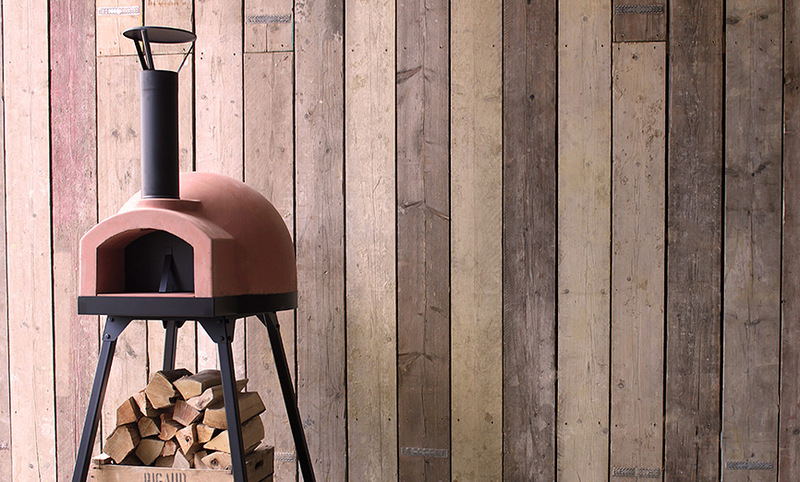 Stylish enough to look attractive in your garden or outdoor area, with heat which can be retained for up to 24 hours, this wood-fired oven can be used for both long, slow, low cooking and super hot pizza making. Big enough for one large pizza or two small pizzas at a time, this stylish option is great if you want a portable pizza oven or have limited space. Conveniently light, waterproof and crack-resistant, the Dome60 is easy to manoeuvre and a dream to cook with. 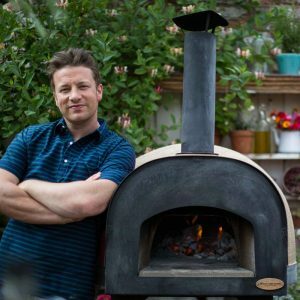 Totally pre-assembled, setting up this Jamie Oliver outdoor oven is a breeze, while it’s healthy width and depth gives you plenty of space to cook up a storm when the weather is fine. From pizzas to flame-roasted vegetable dishes, this good-looking oven is pretty pukka. Do you love to cook outside during the warmer months? What’s your favourite bit of kit for outward bound cooking? Have your say and share your garden cooking recipes below.